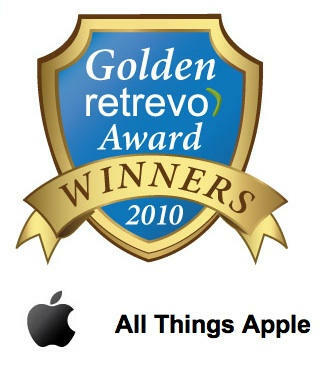 We were a pain, I know, bugging you guys to vote for us in 2010 Golden Retrevo Awards. Our friends 9to5Mac also won in the same category, along with iPhoneography, MacYourself and The iPhone Guru. Retrevo is an up-and-coming electronics shopping/review site, which claims more than 5 million visitors a month. Here’s the full list of Golden Retrevo Award winners.